Happiness is pure badger! 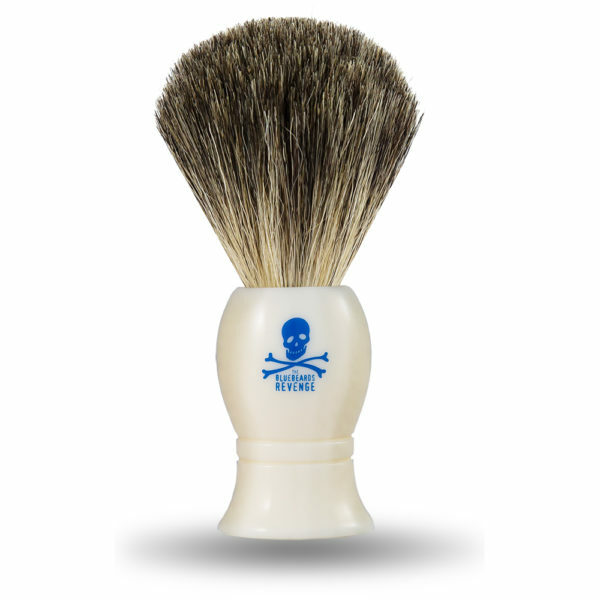 This impressive shaving brush is designed to create the best lather and to thoroughly lift each individual hair, coating it generously with The Bluebeards Revenge Shaving Cream. 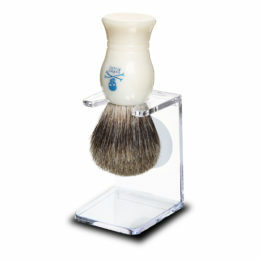 Believe us when we say that using this brush with our barbershop-quality shaving cream will elevate the quality of your shave from a day to day drudgery to a not to be missed event. 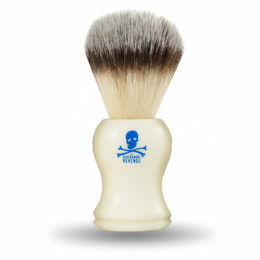 Each brush is stamped with our distinctive logo, and will look just so parked in your bathroom. 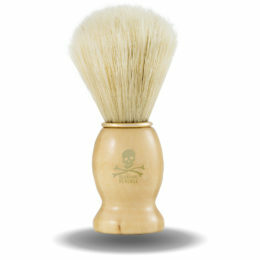 Barber-grade brush that is designed to improve the quality and enjoyment of the overall shave. 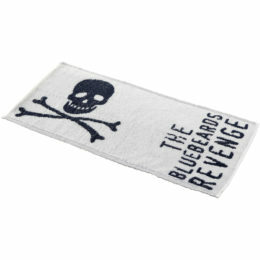 Stamped with the distinctive Bluebeards logo. The professionals choice – favoured by a number of top barbers for traditional wet shaves. 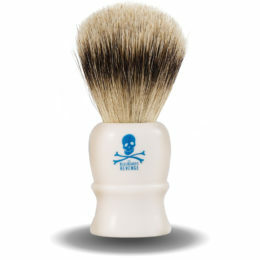 Supercharge your shave. 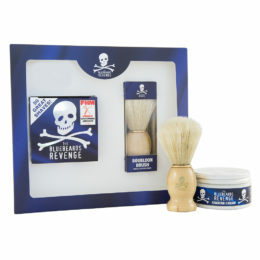 Using a shaving brush improves the quality of your shave by creating a really great lather, ensuring that each of your hairs are coated with The Bluebeards Revenge Shaving Cream. 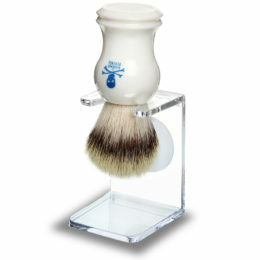 A brush also lifts the whiskers from the face, allowing for a much better cutting angle. 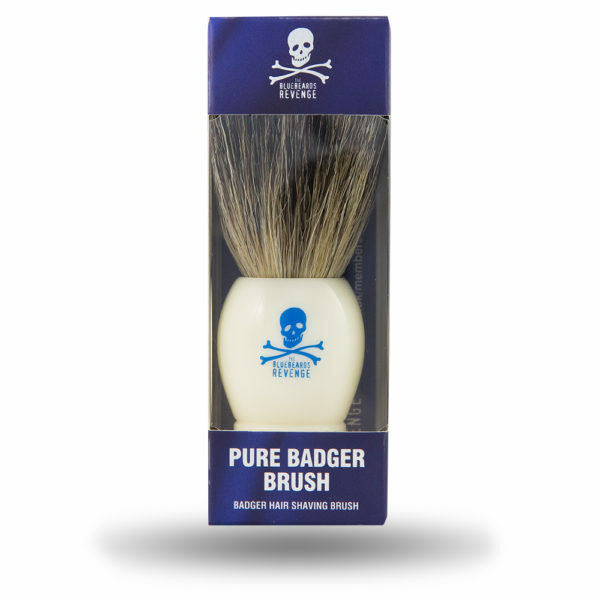 This ensures that you enjoy a really close shave and helps avoid skin problems, ingrowing hairs and razor rash.